The international Kissing day was in July. I found out just by chance reading the paper. It was just a colorful touch for the day and I didn’t know what the background for this day is. Kiss more?? I don’t know. But more as a joke than anything else, my husband told me to make a poster about it so we would frame it and hang it on the wall. Kiss more!!! I made one just for us but I posted it on Instagram and people found it fantastic. Became quite popular. 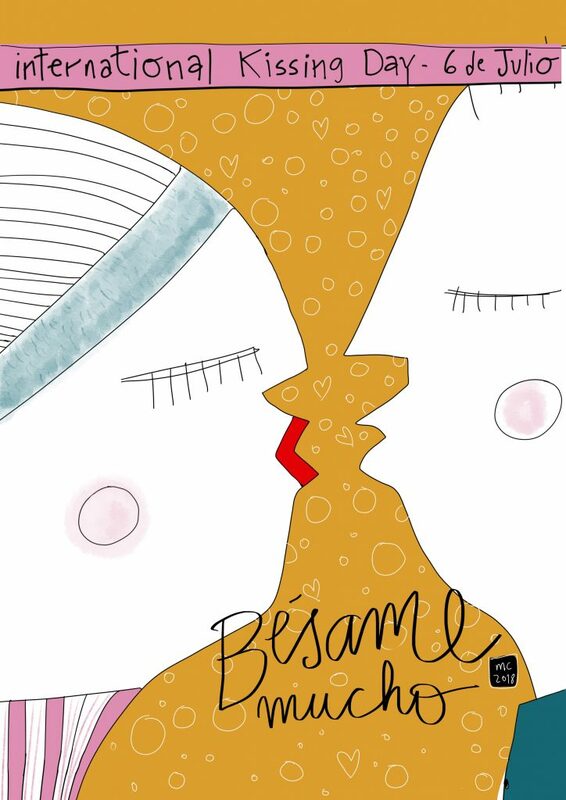 “Besame mucho!” means kiss me a lot in spanish.